Bylaw 17059 and Bylaw 17069 will be considered together, and aim to designate Duncan Innes Park as a Municipal Reserve, which “formalizes its status as a park and offers protection against disposal and incompatible uses.” The park is located in the eastern half of the King Edward Park neighbourhood. The second bylaw is to rezone the park from RF3 to AP. Bylaws 17054 – 17058 are all for closing portions of 96 Street, from Jasper Avenue to 103A Avenue, to facilitate the development of The Armature, a key feature of The Quarters Redevelopment. The Armature is meant to link The Quarters with the river valley, and will accommodate walking, cycling, public transportation, and private vehicles, but with higher priority given to pedestrians and cyclists. This was supposed to be discussed at the January 26 public hearing but was rescheduled. The bylaw is ready for first and second reading, and must go to the Capital Region Board for review before third reading. This item is slated to be discussed at 2pm. You can read my previous post about this here. On Tuesday Council will be holding a regular Council meeting. There are eight reports and five bylaws on the agenda. 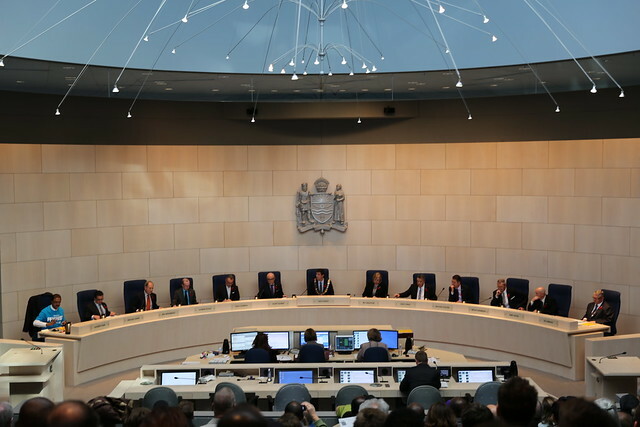 Council will also receive a verbal update from Administration on the Commonwealth Games bid, and Councillor Henderson has a motion pending on the planned elimination of the use of herbicides on City of Edmonton public lands. 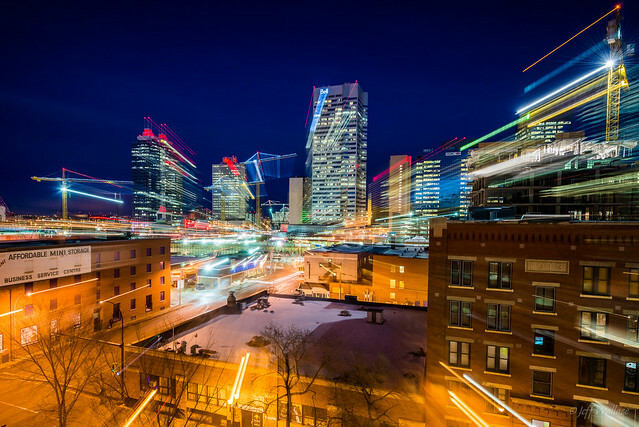 The Master Agreement between the City and Northlands requires Northlands to submit each annual budget to the City within 30 days of being approved by the Board. It also enables City Council to object if Northlands plans to spend more than $250,000 on any single new construction project in a given year, or if they plan to spend more than $750,000 on repairs or alterations to an existing facility. Neither of those thresholds have been triggered by the 2015 capital budget. The last update was provided on September 23, 2014 and this latest update reaffirms that Rogers Place “continues to progress on schedule and within the approved budgets.” Excavation and foundation work is over 95% complete, and steel structure erection is 9% complete and should be done in Q3. On average there are 300 workers on-site during the day with no “time lost” accidents reported. The next quarterly meeting of the Arena Community Benefits Advisory Committee is slated to take place on February 9. Council has appointed 17 members to serve on Local and Composite Assessment Review Boards, and they must now be assigned as required by the Municipal Government Act. The purpose of these boards (there are three types) is to hear 2015 assessment (tax) complaints. The LRT Governance Board’s Semi-Annual Report is being received for information. Executive Committee recommended that Council designate the Cameron Block as a Municipal Historic Resource. A report on using the Building Canada Fund for improvements to Yellowhead Trail was referred to Council without a recommendation from Committee, but with Administration’s recommendation and one amendment. Also referred to Council by Executive Committee without a recommendation is the Policy to Address Construction Hoardings Standards. Finally, the Transportation Committee recommended that the expropriation process for land needed for the Valley Line LRT be approved.